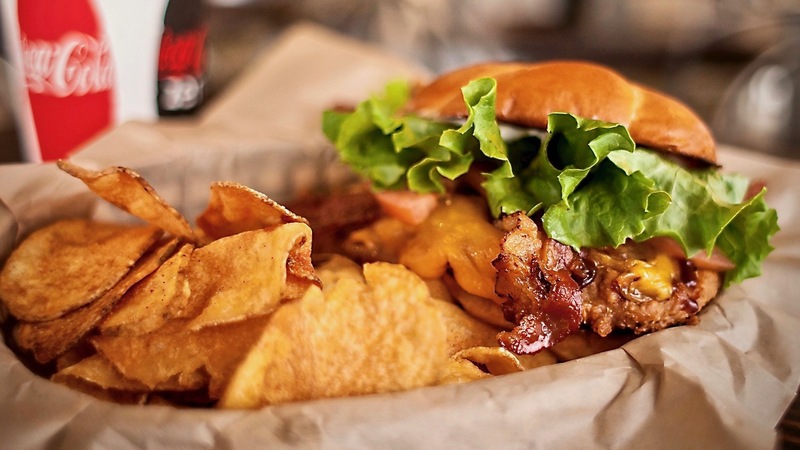 Natural + Delicious + Locally Sourced. Whether you are in the mood for fresh crisp salads, sausages stacked with all the fixins, or a delicious sandwich, we’ve got you covered. 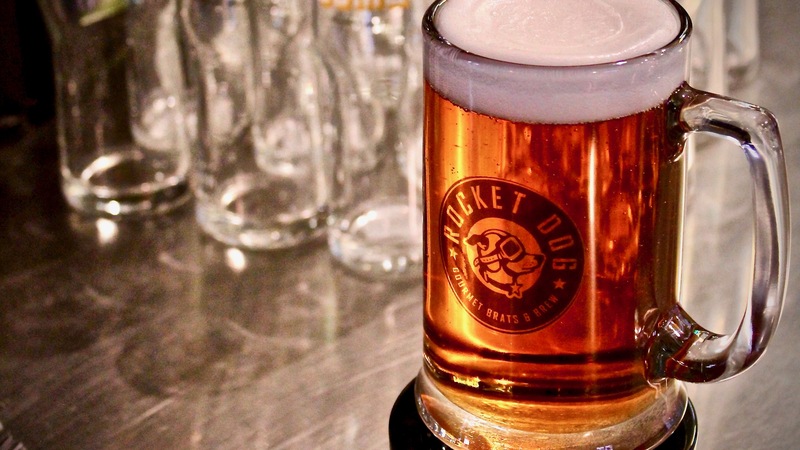 We have plenty of bottled craft beers and beers on tap, and happy hour is 7 days a week! We’re Giving Away 10% Discounts! Served with Russet Potato Chips. Complete your meal with a side for just a little extra! 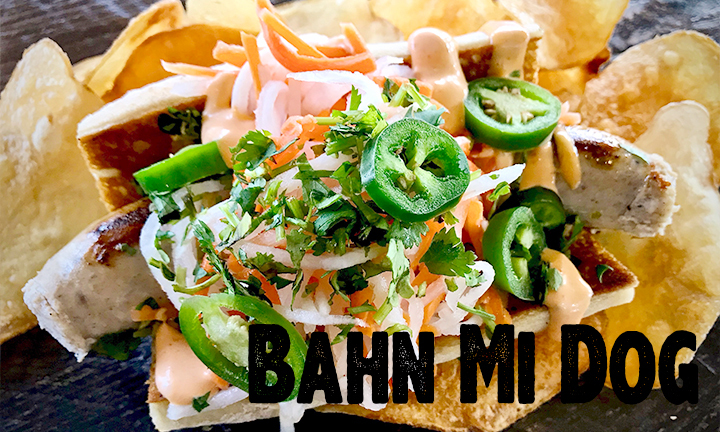 Sweet chicken sausage on a grilled baguette with Sriracha mayo, crunchy pickled veggies, fresh jalapeño and cilantro. Sweet Italian sausage on a grilled baguette with marinara, grilled peppers and onions, and melty mozzarella cheese. Traditional bratwurst on a grilled pretzel roll with brown mustard, crunchy sauerkraut and red onion. Sweet chicken sausage on a grilled baguette with fig-onion jam, crumbled goat cheese, balsamic reduction drizzle and fresh basil chiffonade. Traditional bratwurst on a grilled pretzel roll with ketchup, piled high with creamy macaroni and cheese and melty cheddar. Bacon-wrapped, deep fried spicy hot link on a plain bun with tangy barbecue sauce, Sriracha chili sauce and cheddar cheese topped with fresh cilantro and red onion. All-beef hot dog on a plain bun with chili, crunchy corn chips, cheddar cheese and red onion. 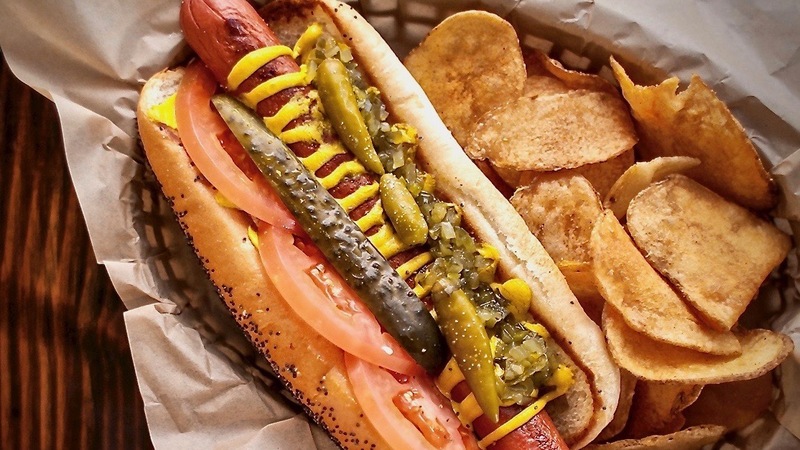 All-beef hot dog, Chicago style on a poppy seed bun with yellow mustard, sweet relish, fresh tomato, kosher dill spear, sport pickled peppers and celery salt. All-beef hot dog on a plain bun piled high with crispy french fries, cheddar cheese sauce, sweet grilled onions, and special sauce. Bacon-wrapped hot link on a plain bun with fresh cole slaw, drizzled with spicy ghost pepper BBQ sauce and sliced Jalapeño peppers. Sliced turkey on grilled sourdough with bacon, avocado, mayo, lettuce, tomato, salt and pepper. 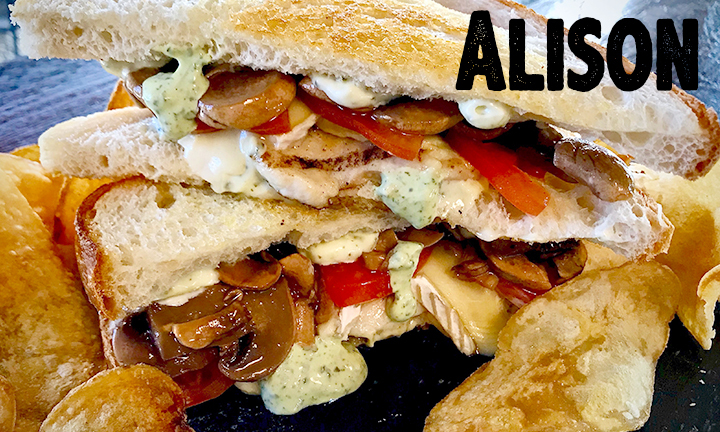 Grilled chicken breast on sourdough with creamy pesto mayo, melty brie cheese, sliced tomato and Italian marinated mushrooms. Crispy breaded chicken breast on a sweet Hawaiian bun with spicy buffalo sauce, tangy ranch, bleu cheese crumbles, lettuce and tomato. Crispy breaded chicken breast on a sweet Hawaiian bun with bacon, sweet grilled onions, tangy barbecue sauce, mayo, melty cheddar, lettuce and tomato. Juicy fried chicken patty on toasted sourdough with thick marinara, melty mozzarella, parmesan and italian seasoning. Grilled Chicken in a tomato chili wrap, lettuce, black bean and corn salsa, cheddar cheese and chipotle ranch dressing. Spring mix lettuce topped with green apple slices, candied walnuts, dried cranberries, bleu cheese crumbles and your choice of grilled or crispy chicken. 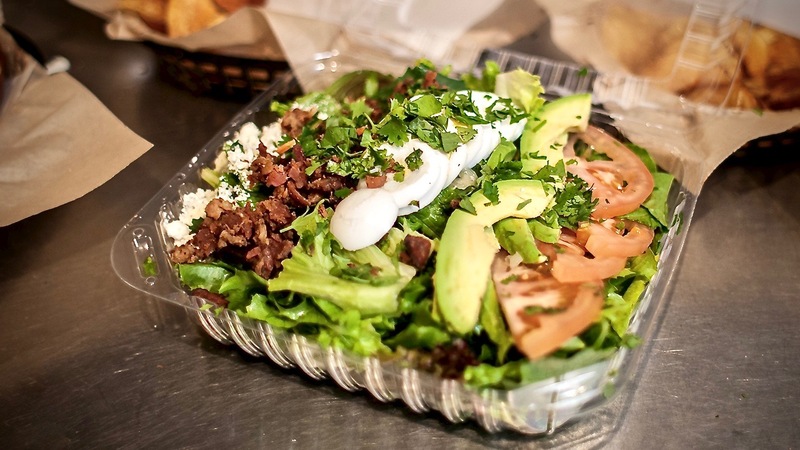 Spring mix lettuce topped with chopped hard-boiled egg, bacon, bleu cheese, tomato, avocado and your choice of grilled or crispy chicken. Crispy shoestring french fries with lots of fresh garlic sauce. Crispy sweet potato fries drizzled with honey, and sprinkled with a bit of cinnamon. 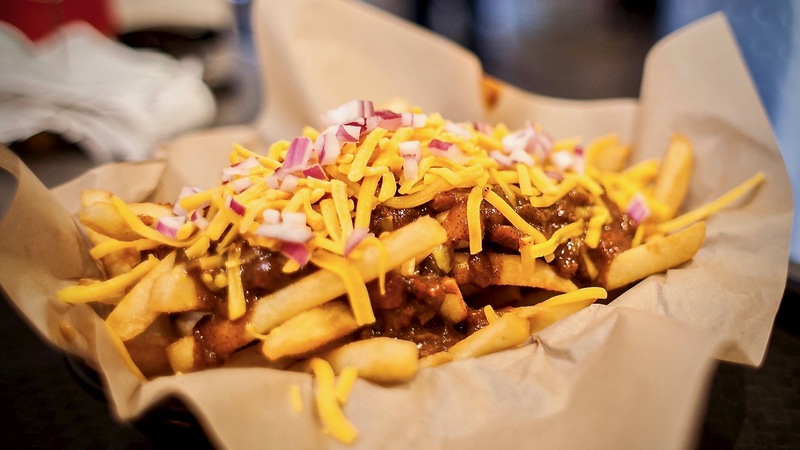 Topped with chili, cheddar cheese, and purple onion. Crispy beer-battered white-meat chicken tenders with the dipping sauce of your choice. Fresh, crispy mix of spring greens and green leaf lettuces topped with carrots, tomato, cucumber and the dressing of your choice. Served with your choice of russet potato chips, fries, or sweet potato fries and includes a small fountain drink. Delicious turkey dog on a plain-style bun. Yes, we do offer catering! Call for details.